Easily explore the far reaches of the city in just one day! 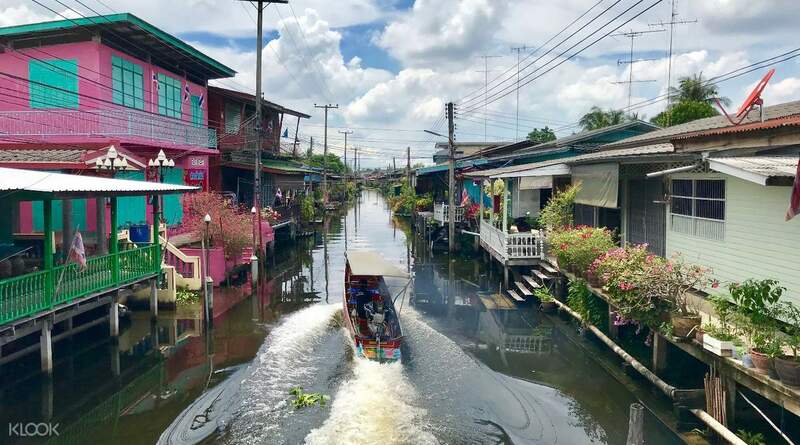 Why not try out private tour Damnoen Saduak Floating Market, Maeklong Railway Market, and Asiatique Private Day Tour by AK? Visiting Bangkok for the first time? Then you simply can’t go wrong with the Classic Bangkok Tour. This full day tour lets you see some of the best of Thailand’s capital in just one day with a knowledgable tour guide. 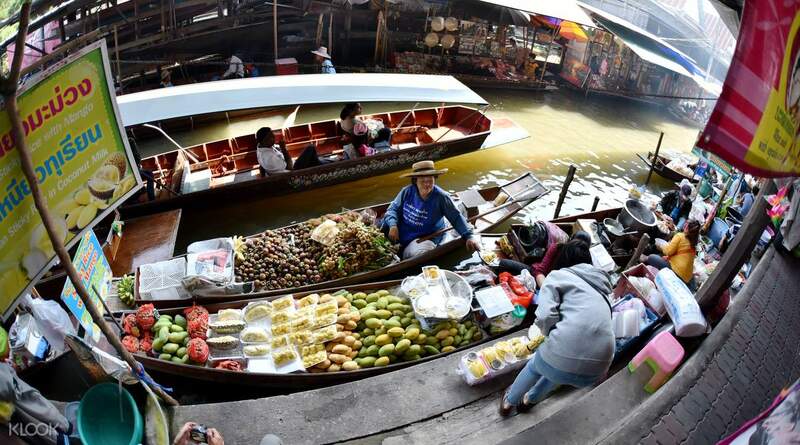 Start the day by shopping and snacking at Damnoen Sadauk Floating Market before heading out to the Elephant Village where you can see and interact with the majestic animals. 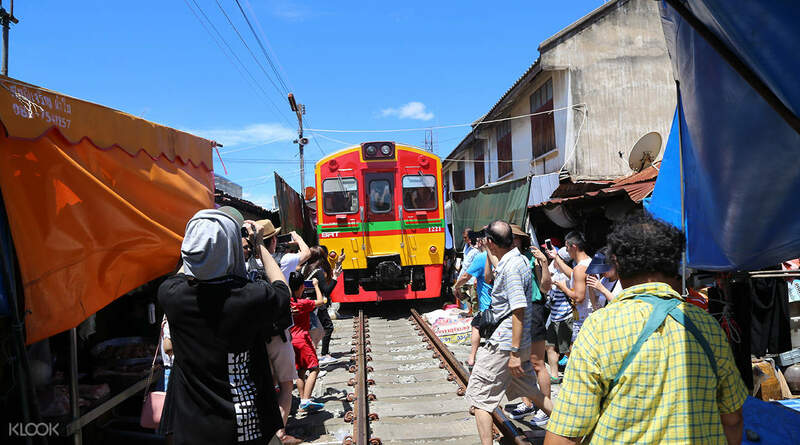 Stop by another market - Maeklong Railway Market, a one-of-a-kind market that has a train running through it several times a day. 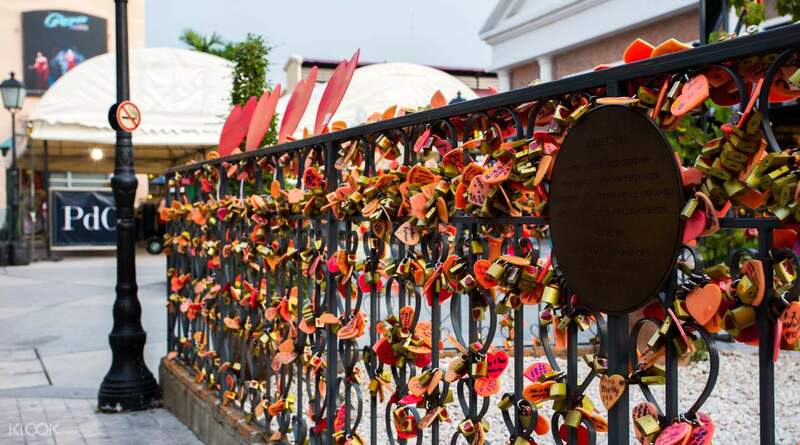 Choose between two drop off options: head back to the point of departure or continue the adventure at Asiatique Riverfront Market located along the banks of the iconic Chao Praya River. It was overall a smooth and no hassle tour. Worth the price since transportation and entrance fees are already included. We are also given the ample time to tour around the places. However, it is very hot and most of the places are out in the open so we can't fully enjoy the sights and view due to the weather. It was overall a smooth and no hassle tour. Worth the price since transportation and entrance fees are already included. We are also given the ample time to tour around the places. However, it is very hot and most of the places are out in the open so we can't fully enjoy the sights and view due to the weather. A must try tour! Our minor concerns are the meet up point is not the assembly area. We are there 20 mins before the tour and crowed are getting bigger then we are all wondering why no one is still talking to us from the tour company. We just found out that the assembly area is on the other side of the meet up point. A little bit not organized but still ok.Tou guide is fun to talk and giving us tips during the trip. Hopefully the tip to driver is not compulsory (50 Baht each passenger) it is your driver's job to bring us to each location and no extra jobs he done for us too give him a tip. For the tip on the tour guide, this is ok on us we can give since he/she is doing the job much more. Overall tour is good and recommend. A must try tour! Our minor concerns are the meet up point is not the assembly area. We are there 20 mins before the tour and crowed are getting bigger then we are all wondering why no one is still talking to us from the tour company. We just found out that the assembly area is on the other side of the meet up point. A little bit not organized but still ok.Tou guide is fun to talk and giving us tips during the trip. Hopefully the tip to driver is not compulsory (50 Baht each passenger) it is your driver's job to bring us to each location and no extra jobs he done for us too give him a tip. For the tip on the tour guide, this is ok on us we can give since he/she is doing the job much more. Overall tour is good and recommend. Numerous of floating market, we took photos and endless shopping with this activity. The tour guide is exceptional, too bad i didnt got his name. He gave us tips what to buy and where we should buy it cheaper. He also gave us tips where we should eat. Kudos! Numerous of floating market, we took photos and endless shopping with this activity. The tour guide is exceptional, too bad i didnt got his name. He gave us tips what to buy and where we should buy it cheaper. He also gave us tips where we should eat. Kudos! Recommended ! Spare an extra tips for the driver since he has been so helpful. The journey from one place to another is far, i personally felt that AK Tour has made our experience an unforgettable ones as we managed to circle around and tick our checklist of must visit places in Bangkok. Recommended ! Spare an extra tips for the driver since he has been so helpful. The journey from one place to another is far, i personally felt that AK Tour has made our experience an unforgettable ones as we managed to circle around and tick our checklist of must visit places in Bangkok. We got to ride the elephants, the rider asked us if we wanted to go through the water part, depends on what rider you get, they would help you take nice pictures. At the end of the ride they frame a picture of you going through the water section. We went to the floating market, which of course the prices are jacked up, but our tour guide before we arrived taught us what to say and how to say to get discount or if we don't want them. We ate lunch by the floating market, not included. Then ended with going through the train market, which had lots of fruits, spices, dry goods. Then we watched the train go by and heading to its last stop, where you can take pictures with the train. Although a big chunk of the time was spent mostly in transportation (air conditioned car). We got to ride the elephants, the rider asked us if we wanted to go through the water part, depends on what rider you get, they would help you take nice pictures. At the end of the ride they frame a picture of you going through the water section. We went to the floating market, which of course the prices are jacked up, but our tour guide before we arrived taught us what to say and how to say to get discount or if we don't want them. 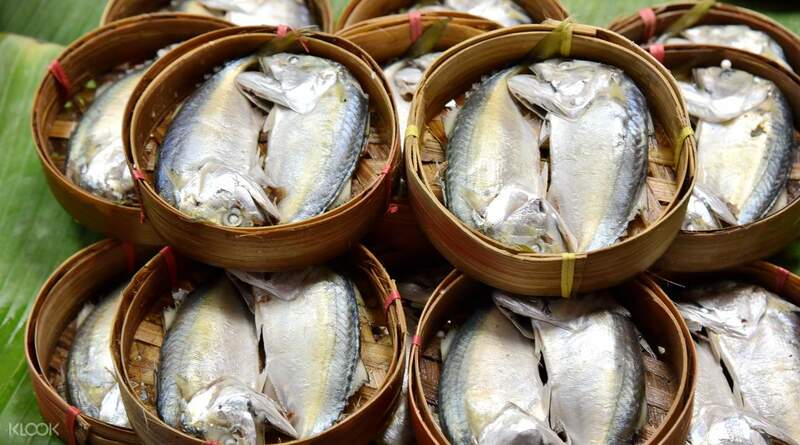 We ate lunch by the floating market, not included. Then ended with going through the train market, which had lots of fruits, spices, dry goods. Then we watched the train go by and heading to its last stop, where you can take pictures with the train. Although a big chunk of the time was spent mostly in transportation (air conditioned car). thisnis the first time I joined a group tour and with klook, it was smooth as a butter. all you had to do was book, show up, and voila, you'll definitely have a good time!! From jow on, I WILL USE KLOOK AND RECOMMEND IT TO OTHERS AS WELL. thisnis the first time I joined a group tour and with klook, it was smooth as a butter. all you had to do was book, show up, and voila, you'll definitely have a good time!! From jow on, I WILL USE KLOOK AND RECOMMEND IT TO OTHERS AS WELL. It was definitely a well planned and nice experience throughout the whole journey. We enjoyed it especially is our first expenrice on elephant riding and boat riding in a river and also the information shared by the tour guide. Thank. You may use promo code 8R9JA for additional discount when do booking. Hope you all will enjoyed it like us. It was definitely a well planned and nice experience throughout the whole journey. We enjoyed it especially is our first expenrice on elephant riding and boat riding in a river and also the information shared by the tour guide. Thank. You may use promo code 8R9JA for additional discount when do booking. Hope you all will enjoyed it like us. We were so lucky to have Song as our tour guide. Song is considerate, cheerful and energetic tourist guide. He has walked extra miles to make the guests feel respected, taken care of and well informed in the entire journey. He is one of the best guide I have ever encountered. Great job Song! We were so lucky to have Song as our tour guide. Song is considerate, cheerful and energetic tourist guide. He has walked extra miles to make the guests feel respected, taken care of and well informed in the entire journey. He is one of the best guide I have ever encountered. Great job Song! Without doubt - the best tour, combining floating markets, elephant trekking and train market! Everything is included in price, even the short elephant ride! You can get nice pictures after the ride itself. There is an option to take picture with a crocodile or tiger plus many other activities. Floating market experience was excellent, you actually spent a good amount of time inside the market, sailing with dozen of boats around. The food from the boat was amazingly delicious! Train market was a good catch too, especially within this tour. Otherwise going for the train tour only is not worth the travel time. Tour starts at 8.30 so you don’t have to wake up too early. The tour guy (in English) called “Rodger” was just announcing a basic info but that’s OK for me, better see with your eyes instead number of statistics data. Without doubt - the best tour, combining floating markets, elephant trekking and train market! Everything is included in price, even the short elephant ride! You can get nice pictures after the ride itself. There is an option to take picture with a crocodile or tiger plus many other activities. Floating market experience was excellent, you actually spent a good amount of time inside the market, sailing with dozen of boats around. The food from the boat was amazingly delicious! Train market was a good catch too, especially within this tour. Otherwise going for the train tour only is not worth the travel time. Tour starts at 8.30 so you don’t have to wake up too early. The tour guy (in English) called “Rodger” was just announcing a basic info but that’s OK for me, better see with your eyes instead number of statistics data.